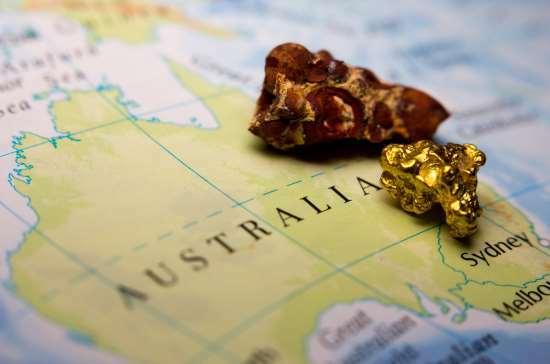 RNC Minerals, the company made famous by its discovery of over 9,000 ounces of high grade gold from a single blast at its Beta Hunt mine in Western Australia last month, has recovered the first specimen. The Canadian miner said the slab was cut in the field, revealing impressive visible gold and quartz structures. It is estimated that the stone contains 1,000 ounces of gold, and will be divided up into a series of smaller pieces. RNC is now working on removing the second large specimen slab from the face of the Father’s Day Vein and will extract additional high grade coarse gold over the coming week. “We expect that these spectacular specimen slabs will be highly sought after by mineral specimen collectors,” said RNC’s president and CEO Mark Selby. The company also reported that a total of six gold specimens are on display at the Perth Mint in Western Australia until late October. RNC believes these stones are among the biggest of their kind ever unearthed in Australia.